What do you want for dinner? It’s a question Bruce and I ask each other every morning. When you live on an island, with no grocery store, the choices depend on what you have on hand. Any veggies left since the last trip off island? What’s in the freezer? Since each of us likes to cook, we usually keep a lot of stuff in the cupboard to work with, but there is no such thing as “fast food” on Little Cranberry Island. I try to combine my grocery shopping trips with the days I visit my mother in Bar Harbor, about once a week. When I get back from one of these long days, with several bags of groceries to put away, I really don’t feel like rustling up a meal. “What’s for dinner?” often comes up as a topic of conversation among passengers on the last boat home because most of us don’t feel like cooking after a day off island. 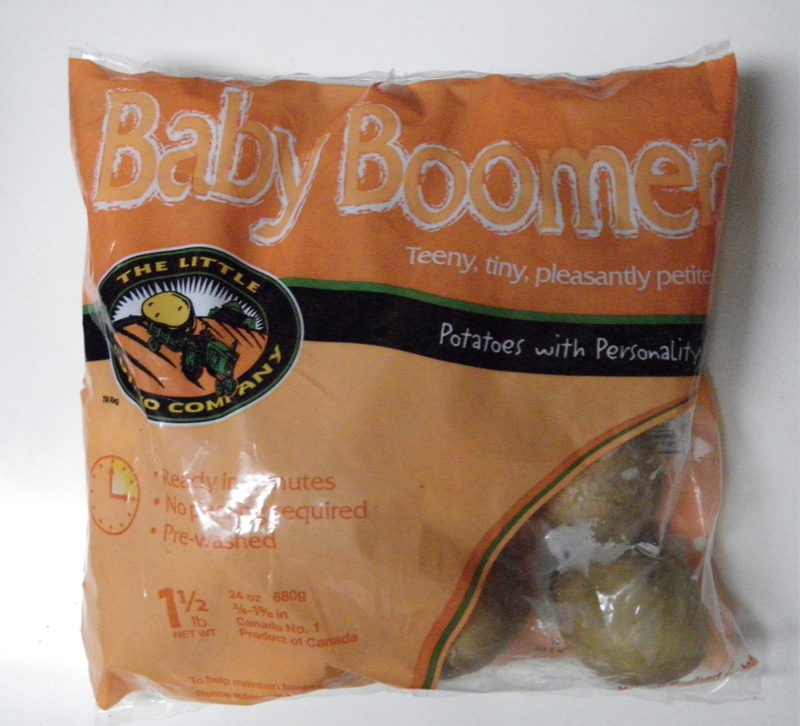 I couldn’t believe there was actually a package of potatoes called “Baby Boomer.” Cutesy packaging that I would have avoided, even if I am a boomer myself. But, they were only 99¢, a manager’s special, and I had a recipe for tiny potatoes that would cook fast. Into my cart they went. 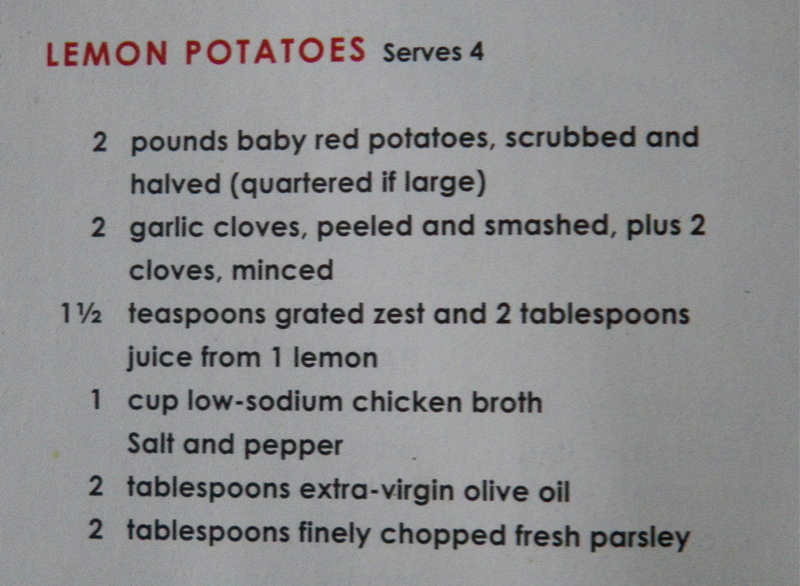 The recipe, one Bruce served a month ago, is from Cook’s Country magazine. 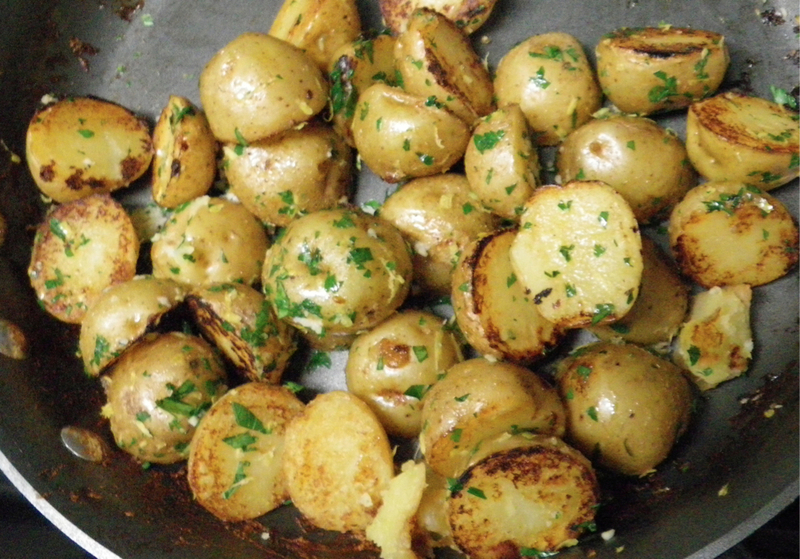 A most delicious lemony garlicky way to cook little red potatoes. (Though in this case the 99¢ Baby Boomers were white.) It only took about 20 minutes, made on top of the stove, which gave me time to whip up the salads and heat the rotisserie chicken. On a night when I really didn’t feel like cooking, I had a tasty dinner ready, with a cleaned up kitchen, in just 30 minutes. Looks delicious! I’ll have to try it! The potatoes taste like they would be more difficult to make! Gotta love that rotisserie chicken from Hannaford’s! I’m taking the leftovers and adding some sweet onion and yellow pepper and a touch of mayo to make potato salad. I’ll let you know if that’s as good. Well that looks really good! I’m a carboholic! Hey, me too! 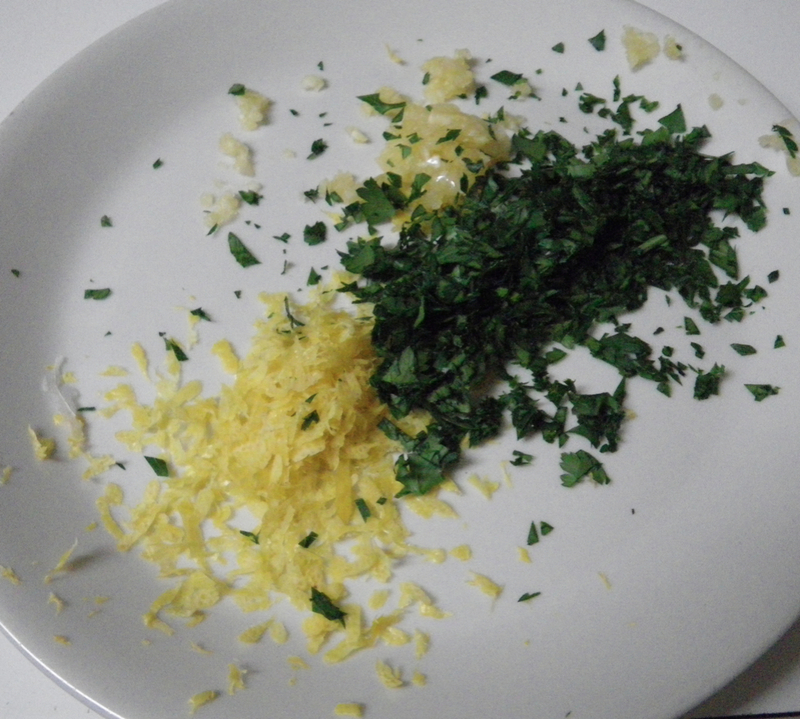 The recipe really has a lot of lemony flavor.